June is invasive species awareness month with the theme of “slow the spread by boat and tread”. In this blog, we have continually recommended that regularly walking your property can lead to a healthier woods. When it comes to invasive plants and animals, it is much easier to control small populations; catching them early can save you sweat and heartburn. But let’s back up a minute and explore what invasives are and why you should be concerned about them. 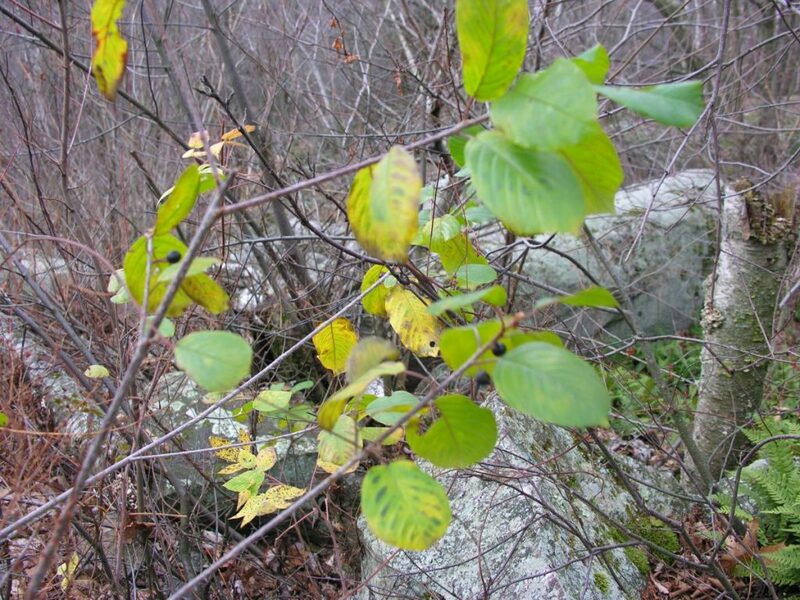 Invasives (sometimes called non-natives) are plants or animals that were inadvertently or purposefully introduced from other parts of the world. Sometimes they hitched a ride on something brought to the U.S., such as the Emerald Ash Borer that had its home in wood brought here. Other times they were introduced to serve a role, such as landscaping plants or animal feed. The problem comes from the fact that these plants and animals can often out-compete our native plants because their natural predators and diseases are not around. 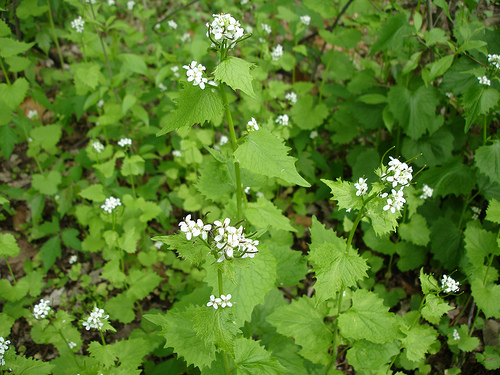 For example, in Europe, over 60 insects feed on garlic mustard, however none of those insects exist here1. Without these natural controlling factors, non-natives can reproduce and grow in spectacular numbers. As woodland owners, there are some things you can do to keep your woods healthy. The first is to learn what invasives are present in your area and know how to identify them. For plants, check out the publication “A Field Guide to Terrestrial Invasive Plants in Wisconsin“. The second thing you can do is prevent the spread of invasives yourself. When hiking in your woods, clean off your shoes and clothes before leaving the property. (This applies to dogs, ATVs, bicycles and other equipment as well.) If you are cutting firewood from your property, don’t transport it more than 50 miles away (this prevents the transport of many insects that would otherwise not move that far, that fast.) Use native plants in any projects you may have whether planting trees or a flower garden. Third, control small populations before they have a strong hold. The publication above also lists some control recommendations. To get you started, below are three plants to be aware of. 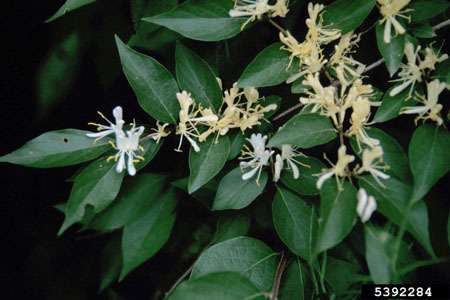 For Invasive Species Awareness Month, keep an eye out for these as you walk in your woods. For more information on these specific plants, check out the additional publications.